THANK YOU TO ALL OF OUR GOLD COUNTRY BASEBALL ACADEMY SPONSORS! YOUR DEDICATION TO OUR YOUTH IS MUCH APPRECIATED! If you are interested in becoming a sponsor, please email info@goldcountrybears.com. Partners In Care is the premier non-medical home care agency in Nevada County, providing a wide range of in-home care services. 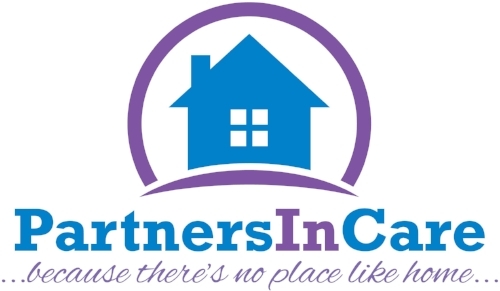 Partners In Care is a locally-owned and operated company and is passionate about serving seniors and those in need throughout the Auburn, Grass Valley, Nevada City, Marysville and Yuba City areas. Legend Construction and Painting Inc. is based in Sacramento California, and has grown to accommodate many of the areas finest developers, general contractors, architects, and property management companies. Our staff and crews work professionally and passionately to deliver projects on time and on budget. Legend can help with new construction and the management that goes along with it, or jump right in and help owners in need of updating existing structures. Ivey Physical Therapy was established In January of 2007. After Spending many years in partnerships, Kevin Ivey started his own company purchasing Sanderson Physical Therapy and Burkhardt Hand Therapy Centers. His Primary goal has been to provide the highest Physical Therapy care available, treat each patient with consideration and respect, and allow student athletes an opportunity to have their injuries treated immediatley. We Provide Services To Nevada Union High School on a volunteer basis and have been doing so since 1995.. Vision Graphics is located in Grass Valley, California and originally opened its doors in 2008 after owner Justin Liserra stepped up from a simple vinyl cutter to a large format plotter/printer. Since then, Vision has expanded itself and excelled in multiple different fields of graphics including: screen printing, full vehicle graphics and wraps, interior/exterior signage, and full-service graphic design. From cars to boats, store fronts to window decals, banners to business cards and corporate identity. If you can imagine it - we will create it. Give us a call today!